All artworks at the exhibition come from the collections of PFF fund which focuses mainly on artistic photography. We would look in vain for any reportage photography in this exhibition which presents a cross-section of a more than a hundred years of Czech and Slovak photography. The exposition is chronologically divided into two parts. 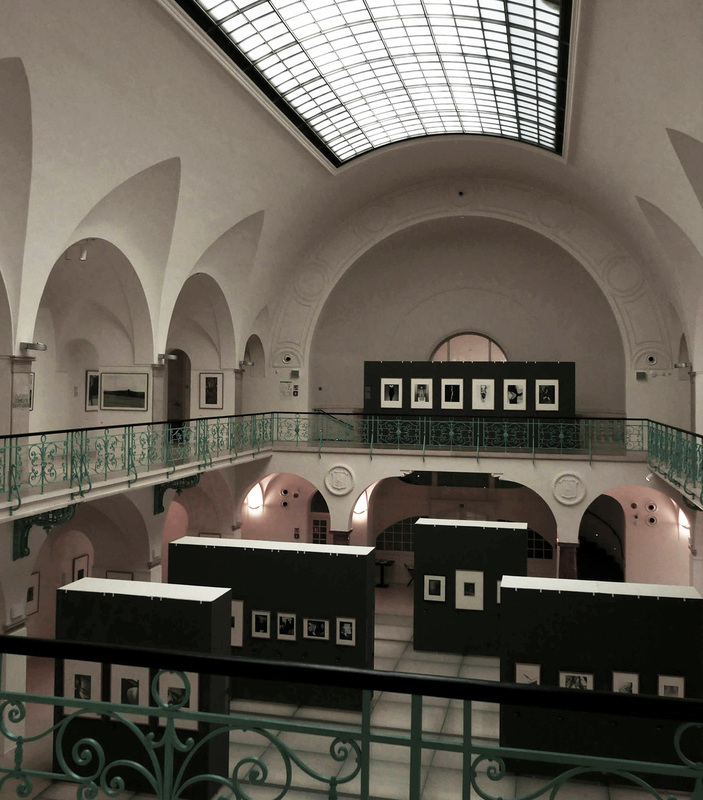 Photographs of the photographic generation predominantly active during the first half of the 20th century are located in the pool hall of the building, a former municipal spa where the gallery is housed. Contemporary living author are exhibited in the galleries (the only exception is Jan Svoboda who died in the 1990s). The first part of the exhibition takes us from Drtikol's girls nudes through the experiments of the Czech avant-garde pioneers Jaromir Funke and Jaroslav Rössler to the Night Walkers of Václav Chochola or Jan Lukas' series Pompey - New York, where the author looks for both visual parallels and parallels in meaning between the pairs of pictures from both cities. Josef Sudek, whose work forms the basis of the PPF collection, is the most frequently represented artist in the exhibition. He was given a panel at the back of the pool hall, where visitors can admire not only his renowned still-life, but also his less-known photographs. He did not usually create photographs by enlarging the negatives, but rather created them in a 1:1 contact imprint. As a result they feature an unmistakable detailed drawing. It is very nice to see that apart from the world-famous classics, the space is also given to the non-Prague interwar art presented in the form of an art group called Linie from České Budějovice, active in the 1930s. Ivan Pinkava, one of the big names of the current photography scene opens the second part of the exhibition. The author, working exclusively in a studio, is introduced by both his older figurative photographs and his contemporary works in which the characters are absent. Nevertheless even those are thematically linked to mortality and transience. A group of photographers from Slovakia studying in the 1970s at Prague's FAMU, called the Slovak New Wave, brought humour and playfulness to the Czech environment. When selecting the photographs, the curators decided to choose erotica as the thematic connection shared by the artists of the group. A whole panel is dedicated to Tono Stano, the most famous member of the New Slovak Wave, and it presents his most typical work: photographs of human body. Even his most iconic photograph Sense, which inspired the creators of the Showgirls poster, is present. It is said that the photography was created unintentionally due to the shyness of the model who met the photographer in order to pose for nudes. The work of Lukáš Jasanský, in tandem with Martin Polák, is represented by subversive photographs of poorer agricultural landscapes enlarged in big formats. Veronika Bromova is represented by digitally edited photographs that work with the aesthetics of ugliness using mostly her own body as a theme. The exhibition ends with photos of the finalist of the Jindřich Chalupecký Prize Alena Kotzmannová from the Cyclone ensemble. The photos consist of pairs of photos which unsettle the spectators by using minor differences in the displayed scenes. The author achieved this by changing the angle of view or taking the photographs at different times. The fund disposes with more than 1900 pieces from 170 different authors. As such, the exhibition presents only a fraction of this rich collection. 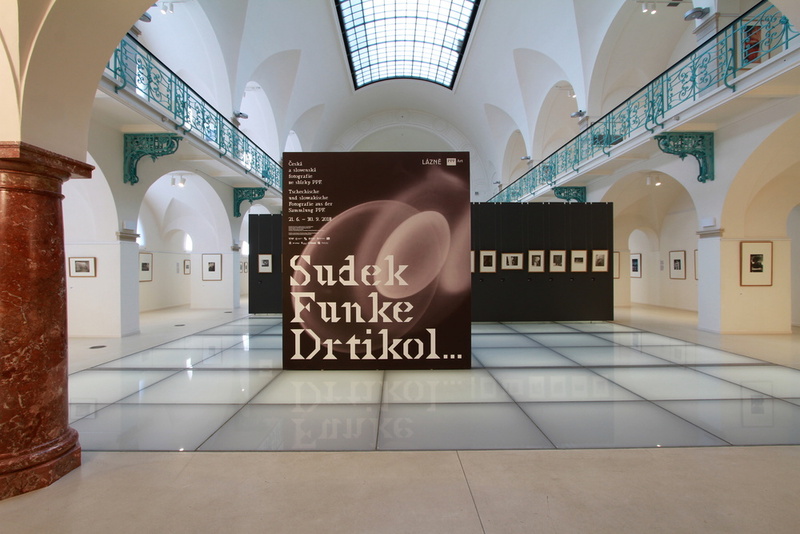 Nevertheless, the curators successfully presented the most important personages and trends of the Czech and Slovak artistic photography within the space available.